At today's event Apple announced the iPad Mini 3 while simultaneously dropping the original iPad mini's price to an all-time low of $249/£199/AU$299. This is the cheapest ever entry point for the iPad. 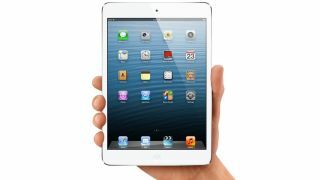 It's also welcome news that Apple isn't looking to drop the previous versions of the iPad mini. The iPad mini 2 also gets a price drop to $299 (£239/AU$369), which addresses our chief complaint about the diminutive tablet with the high price tag, while the iPad mini 3 will launch with a price tag starting at $399/£319/AU$499. While you're here, check out our hands on video with the new mini slate!